Have a fleet of vehicles on the road for your business? Here at Midcoast Customs we want to help you stand out from the crowd! Get your company the recognition it deserves by branding your company vehicles with a graphic vinyl wrap! 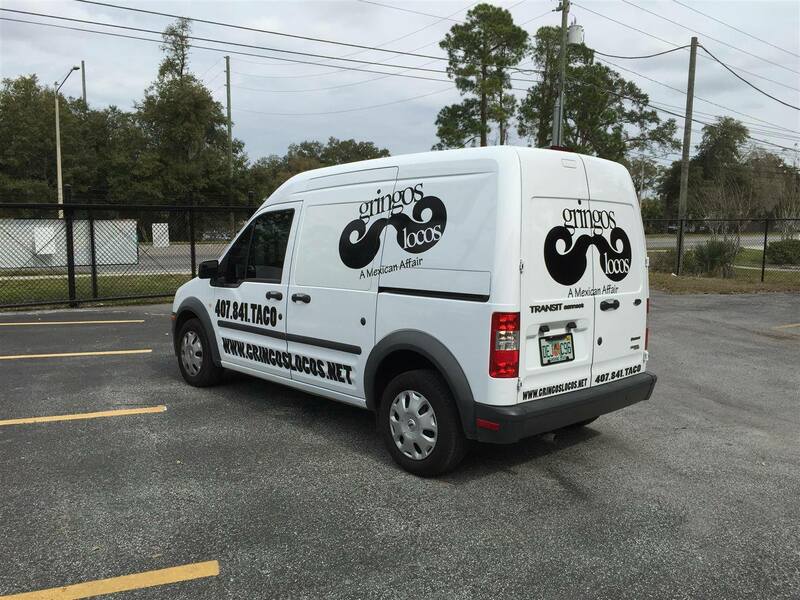 Our graphic wraps and lettering will make your vehicles easily identifiable and stand out from the rest on the road. 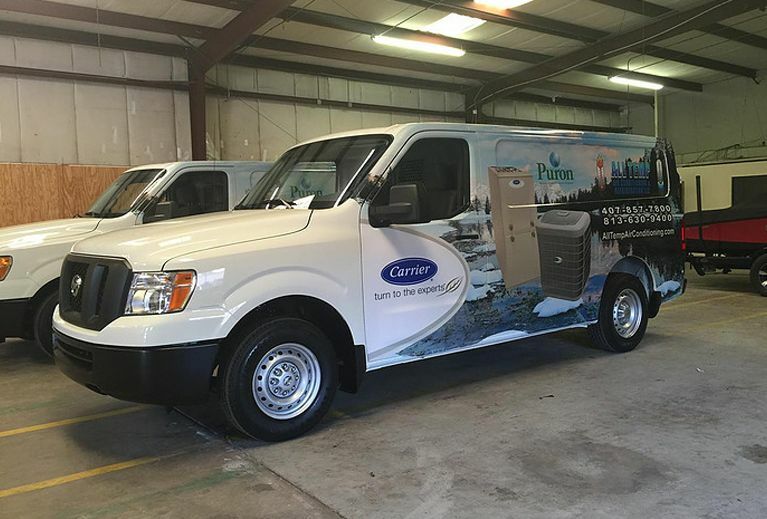 A commercial vehicle wrap will help drive awareness to your company and the services you provide to thousands of people per day! Our wraps are printed on the highest quality materials from the #1 vinyl wrap film brand in the graphics industry, 3M. We trust the best, so you can trust us! 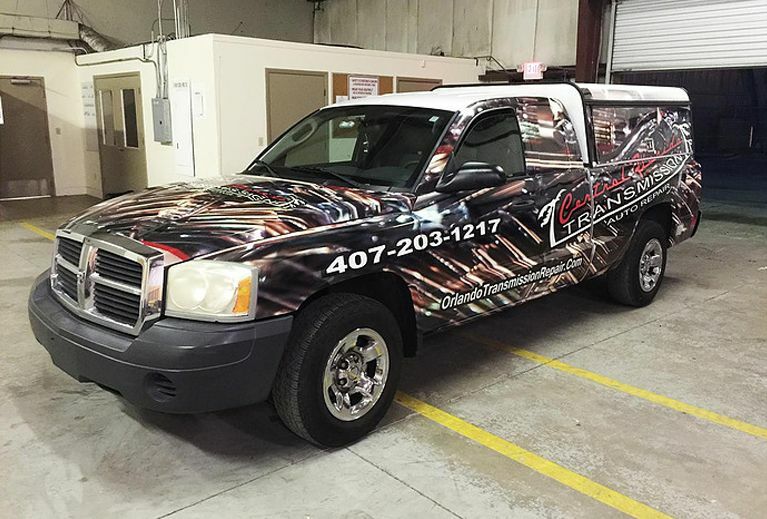 You can supply your own design and artwork or we can provide graphic design services to help turn your car, truck, van, semi, or any vehicle into a mobile billboard! Our installers are professionally trained and are capable of wrapping all makes and models of vehicles, boats and marine craft. From a tiny smart car to a large 18 Wheeler, we have the experience to wrap it all! 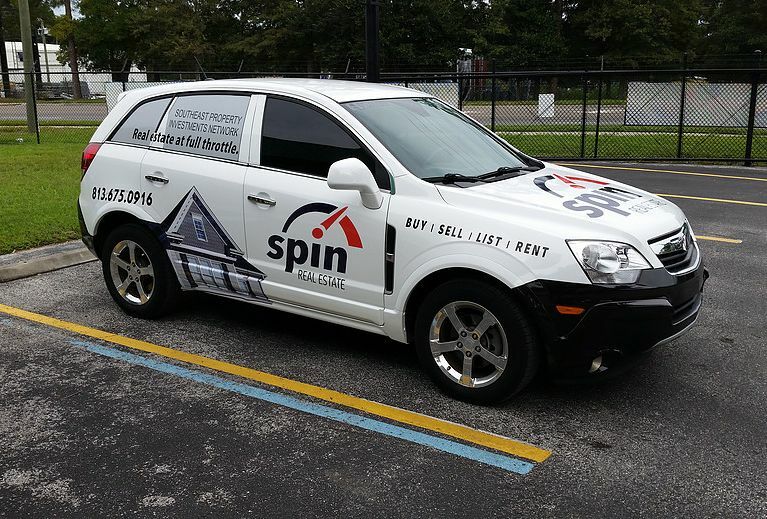 Considering a Vinyl Wrap for Your Company Car or Fleet Vehicles? Here are some quick and interesting facts about how effective a vehicle wrap can be for your brand or business! 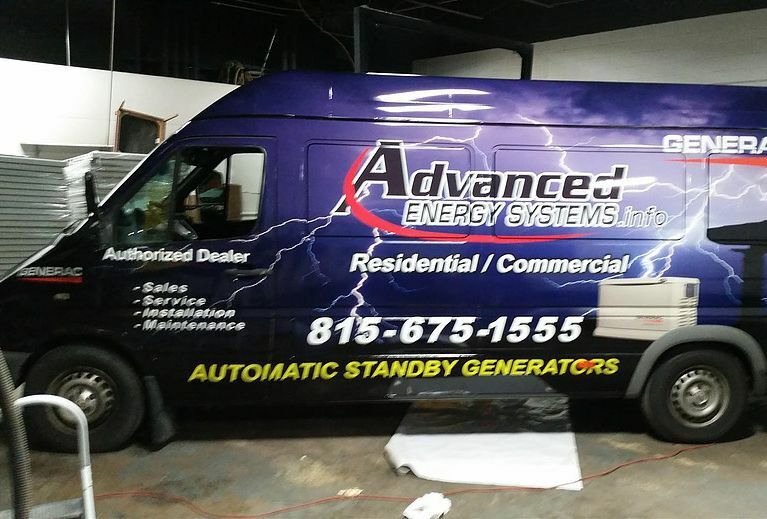 Unlike costly media and print advertising, vehicle wraps work for you 24/7, 365 days per year, making the actual investment manageable for most small businesses. 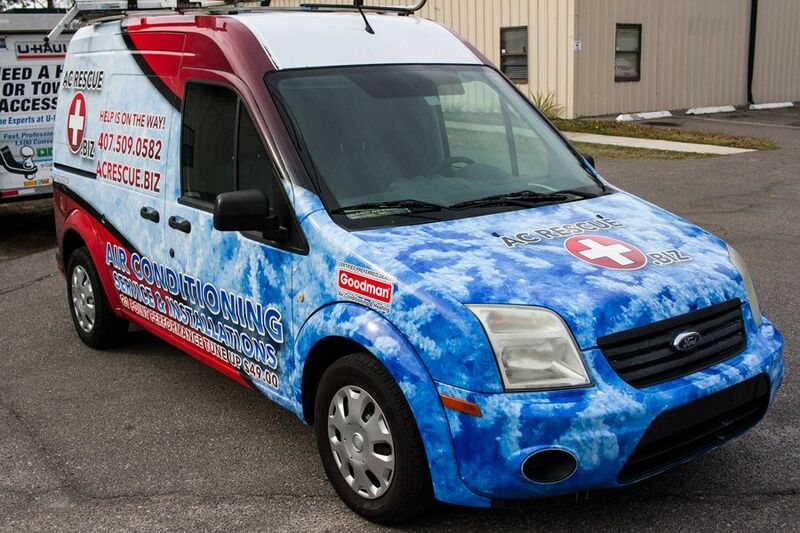 According to the Outdoor Advertising Association of America (OAAA), vehicle wraps offer the lowest cost-per-impression of ANY form of advertising! Depending on city and population size, a single vehicle wrap can generate between 30,000 and 70,000 daily impressions. Vehicle wraps reach audiences of all ages, gender, backgrounds, income levels, and professions. When comparing impressions made per dollar, a vehicle wrap estimates 2,520 impressions per dollar spent on advertising. That’s 5,600% BETTER than radio and 7,200% BETTER than billboards! For custom vehicle wraps and graphics look no further than Midcoast Customs. Not sold yet? Give us a call or drop by our shop today and see some of our work first hand. We’re sure you’ll find something that catches your eye.